Placing ourselves in the shoes of Winton Smith and walking about town gave us a glimpse into the Orwellian notion of a surveillance society. We get a sense that stepping out of line, in Orwell's world, meant that the action would be met with serious consequences. The state surveillance in that world was in place to control a population. The invasions of privacy that we endure move beyond merely the state initiated. We deal with corporations that gather and share our personal information. 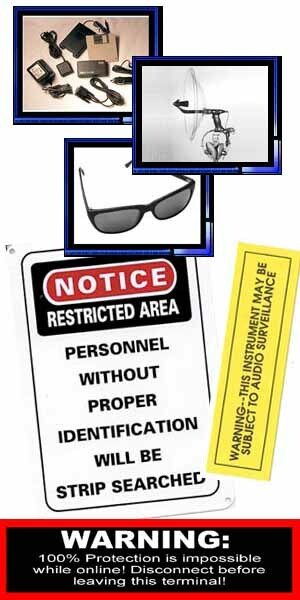 Employers seek new ways to supervise the efficiency of the employees. The media hound celebrities sure, but now, even non-celebrities are captured on film and displayed on the Net. It is true that contemporary democracies have laws that protect their citizens from serious invasions of privacy. The difficulty for us, and those who interpret the laws when it really counts, is to collectively agree upon what constitutes an invasion of privacy. For one person, street cameras, that monitor citizens' activity, may be a violation and, for another, they may offer security. The activities presented here are designed to help you to begin to explore notions of privacy within the public domain.